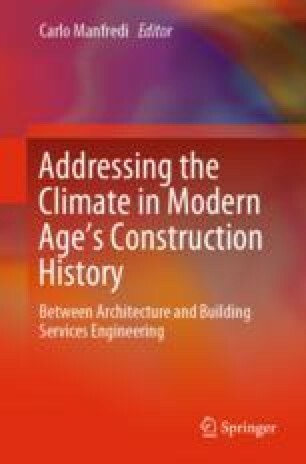 This contribution traces the evolution of ‘environmental architecture’ in Britain in the four centuries from the end of the 16th century to the threshold of the 20th. That period witnessed profound developments in the applied sciences and in its later part in the technologies of environmental management in buildings. The essay proposes that these developments may be characterised as an encounter between reference to tradition as a source of architectural knowledge and the application of science and its cousin technology in the production of designs for buildings. The argument is illustrated with ‘case studies’ of six significant buildings.